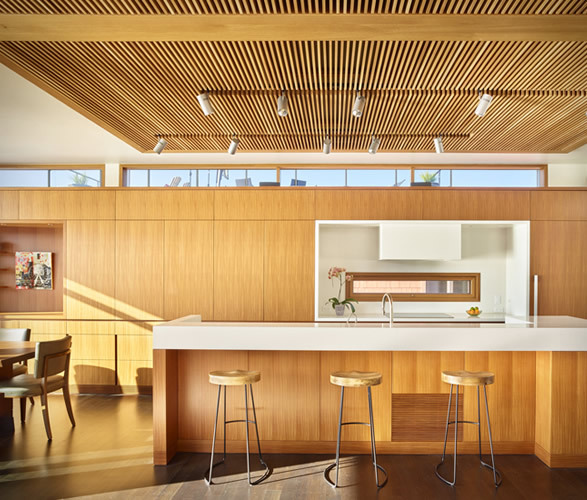 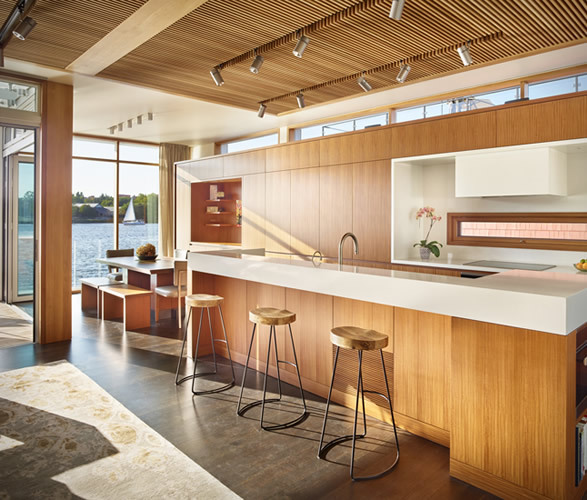 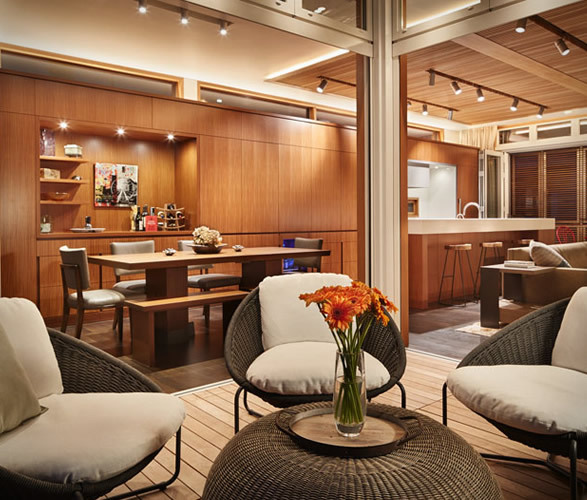 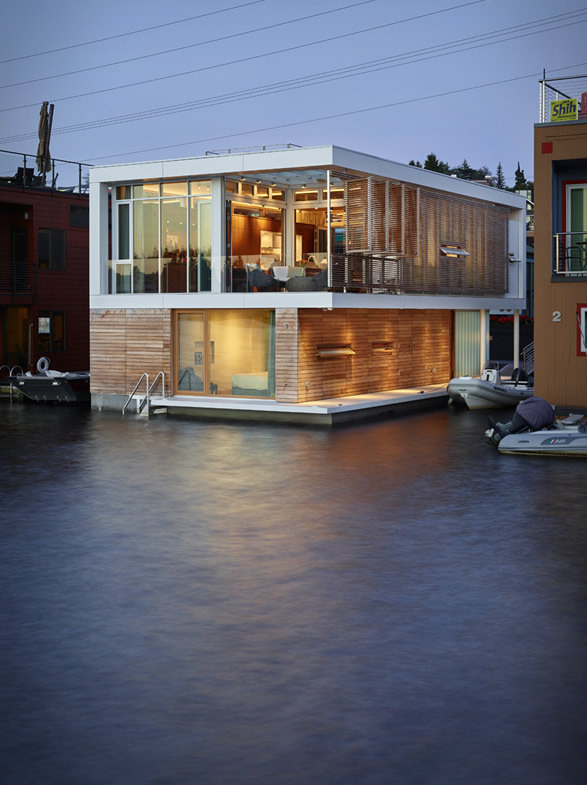 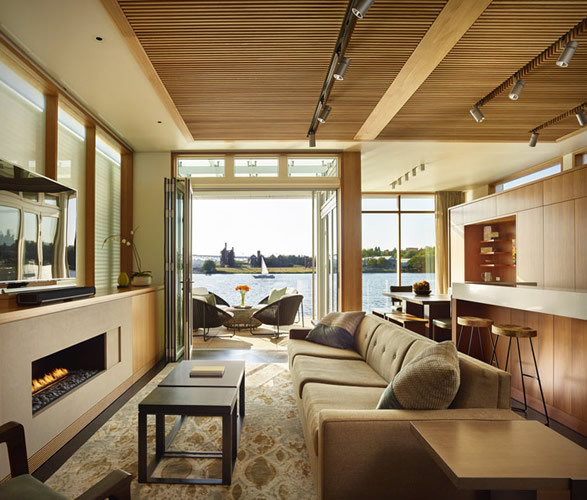 Anchored on Lake Union in the heart of Seattle, lays this beautiful modern contemporary floating home designed by Vandeventer + Carlander Architects. 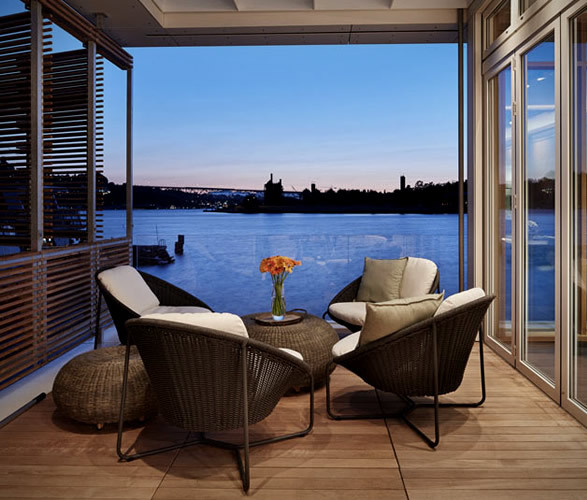 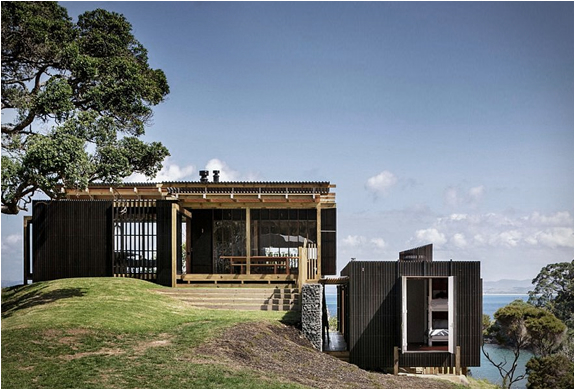 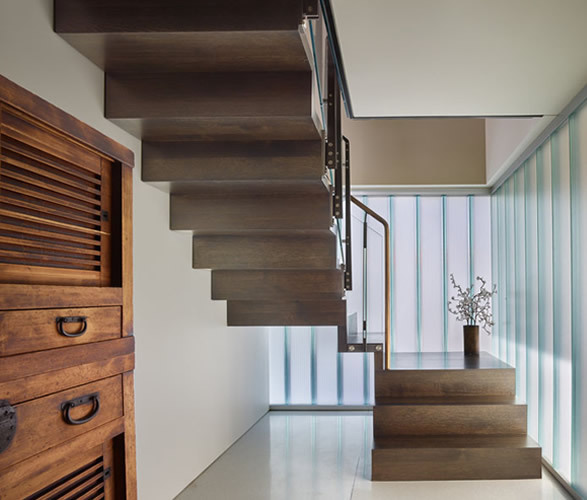 Built on concrete floats the house features two levels, with the living spaces situated on the upper floor, taking advantage of the view, while bedrooms are on the lower float level, with large windows providing picture perfect views of the water. 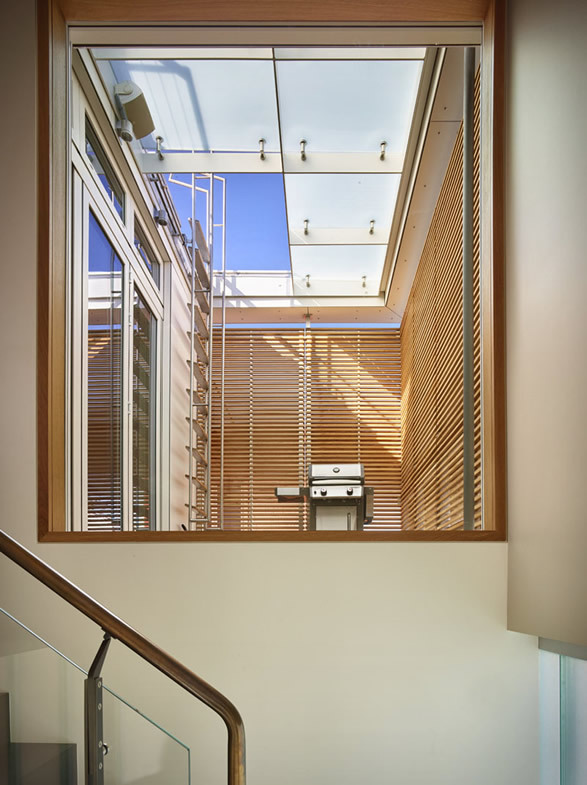 There is also a small terrace with a barbeque located off the kitchen, and a ladder that provides access to the roof deck. 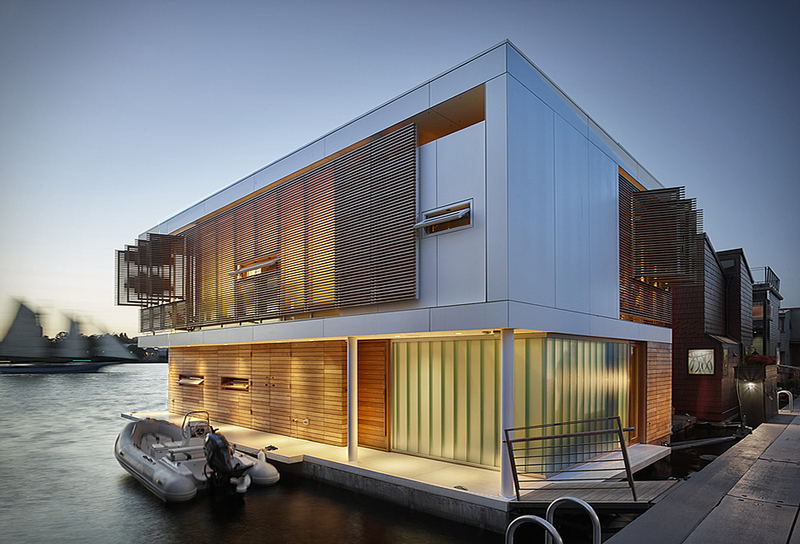 Outside, a broad exterior deck runs the length of the house, providing access to a boat moorage.